Hip and groin injuries are painful and inconvenient for both athletes and non-sports cases. They can disrupt your daily life as you may notice pain during walking, running, climbing stairs, or even driving. If you’ve suffered an injury to your hip or groin, the faster you can recover, the more quickly you can get back to a normal lifestyle. Here are some of the common causes and types of hip and groin injuries, and resources for the best tips to speed up healing. No matter how you injured yourself, pain is one of the most common symptoms of a groin or hip injury. Other symptoms include cramping, tightness, swelling, or a reduced range of motion. 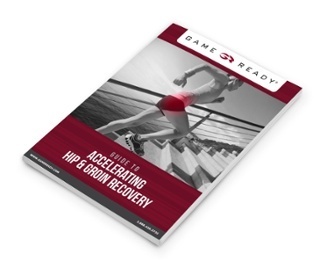 Get back to normal activity and download the Guide to Accelerating Hip & Groin Recovery!